Whoopee! We’re extremely happy and overwhelmed, yet humbled. 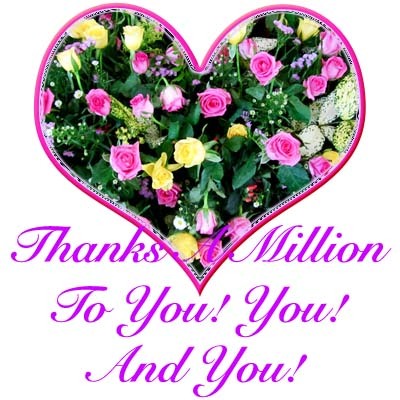 Congrats on your blog surpassing 1 million pageviews! You’ve done a good job on your blog and truly deserve this. Wow, that’s a great milestone and achievement that is difficult to emulate. It seemed to take ages to even reach my first 100K mark. Well done! Well done to John and Jacqueline! Thank you so much, Autumn Belle… we really appreciate your kind thoughts. Our numbers gained momentum only the last 1-2 years if we recalled correctly. You’re too modest, my friend… I’m confident your numbers will accelerate as fast too since you do present informative articles with good writing skills and great passion. It’s always a joy to visit your site and I’m sure many others feel the same.